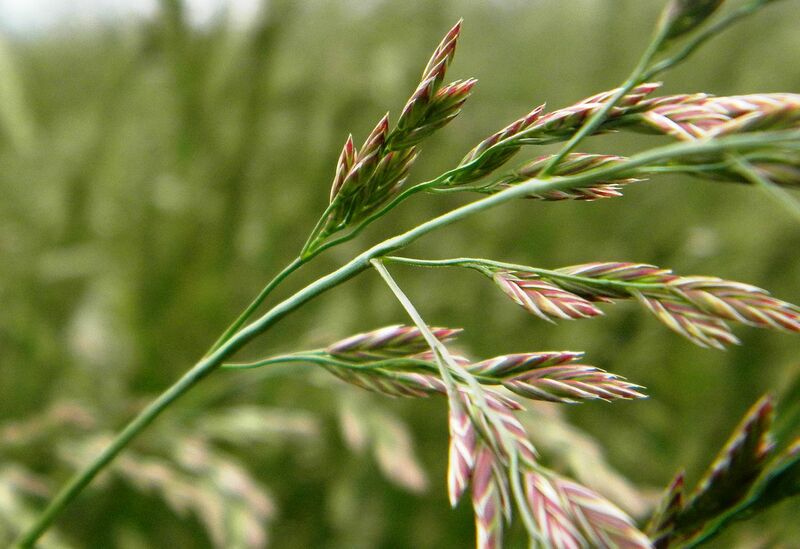 Festuca rubra.Robert Soreng@USDA-NRCS PLANTS Database.Courtesy of Smithsonian Institution, Department of Systematic Biology-Botany (Accessed 5/2014). 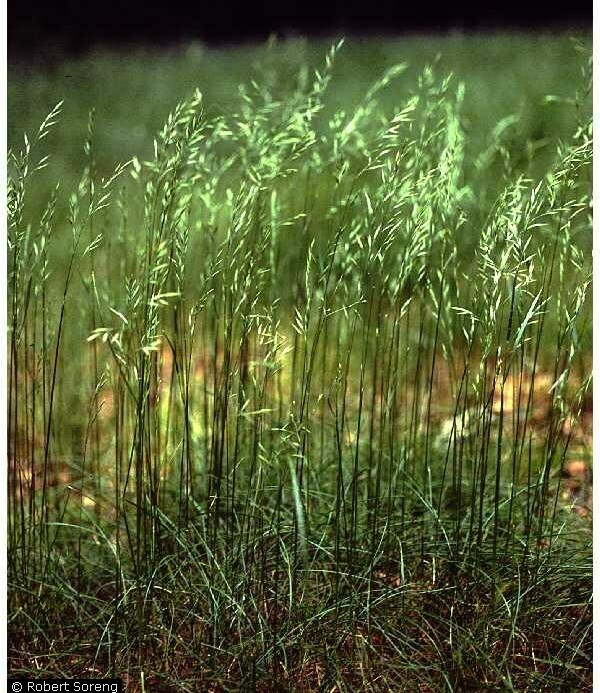 Festuca rubra is a perennial C3 grass (Turner et al. 2006; Basinger 2002), loosely tufted, stems often bent near base, slender, 30-100 cm tall, often colonial from rhizomes; lower sheaths closed, reddish when young, older sheaths disintegrating into brown fibers. Leaves alternate, basal leaves very short, wiry, stem leaves few, short, about 0.1-0.3 cm wide, usually inrolled, sheaths open, overlapping to base. Flower spikelets 0.7-2 cm long, 3-10 flowers often waxy pale-green, glumes unequal, the first needle-shaped, about 0.3-0.4 cm long, the second wider, about 0.4-0.5 cm long, lemmas awned, body about 0.5-0.6 cm, awns 0.1-0.3 cm; inflorescence somewhat contracted, branches ascending, 5-20 cm; blooms June-July. Origin: Europe and N. America. There are several subspecies (USDA, NRCS 2004). Habitat: Open areas, lawns, roadsides, fill, edges, soil pH 5-7.5, tolerant of shade, fire, intolerant of salt (USDA, NRCS 2004). Notes: Native plants are reported to be more frequent in coastal areas, however seed sources for commercial plants are not known. Not likely to be collected from native populations. Red fescue often infected by the endophytic fungus Epichloë typhina or E. festucae. These fungi may help protect the plant from herbivores but may also render it sterile by replacing seeds with fungal tissue (Clavicipitaceae, Ascomycota), (Wilson 1995a; Clay and Leuchtmann 1989; Schardl and Leuchtmann 1999).